Clocks have also meant to serve the purpose of not only telling the time but also of decorating the walls at our houses.The wall clock design has always been changing with the passing time and the latest trend is funny, funky and unique wall clocks. 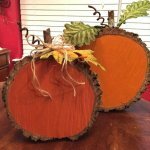 For this reason we have provided here some of the most unique and fruitful ideas of DIY clocks which are amazing and easy to make. The first idea here is the balloon clock idea which is perfect for your kid’s room and also for a party time. Next are the color block wall clock and its urban contemporary style. The wooden block is half colored in a bright color and half in raw original wood color. This is a unique one of a kind paper plate clock which can be spray painted in your favorite color and the clock needles and battery can be attached after that and you are all set for a new handy, light weight DIY funky clock. The next is an abstract clock which is also made with help of different colors of paints and it’s done on a wood block too. The next here is one of my personal favorite ideas and it’s a vinyl record wall clock done on an old music record disc and looks classic. Next is a rustic wood plank clock which again involves wood. Besides these there is also a craft whack cool clock which is so colorful you cannot resist trying it soon. This is an elegant faux ship-lap clock which is simple and pretty. The next here is an embroidered clock made on a fabric with a very coo design and battery along with the needles attached. 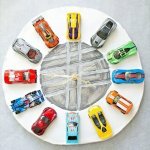 The next is also for the kid’s room and it’s made up of clay cars. Besides this, there is a printable learning clock for the young kids, rusty gear wall clock idea for the machinery lovers, picture clocks for the memory makers, embroidered basket clock for simplicity lovers, record clocks for the love of music, star clock and wheel clock. 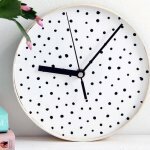 Do try at last one if not all of these beautiful and great 17 Funny & Simple DIY Clock Ideas and decorate your homes in a complete different way altogether.